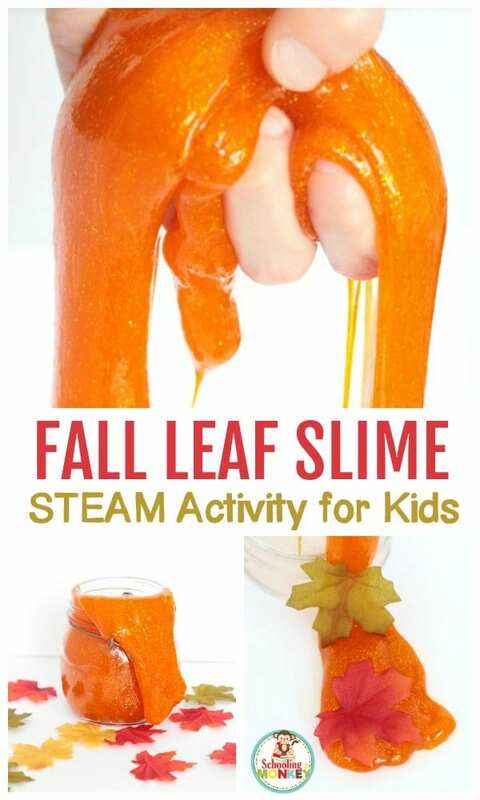 Fall is the season for leaves, pumpkins, and… slime? 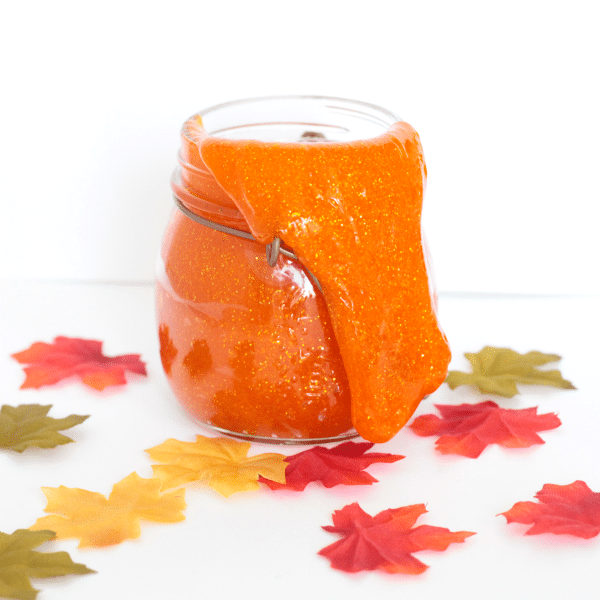 Although you might not think that fall is the season of slime, this beautiful and glittery orange fall leaf slime will be sure to change your mind. 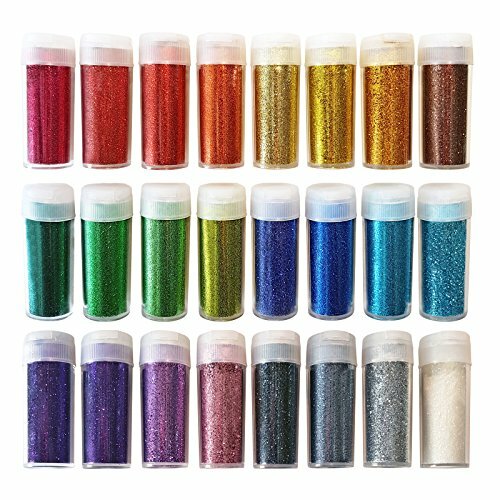 The pretty colors mimic the bright colors of the fall, and it’s the perfect fall STEAM activity to do when fall hits. 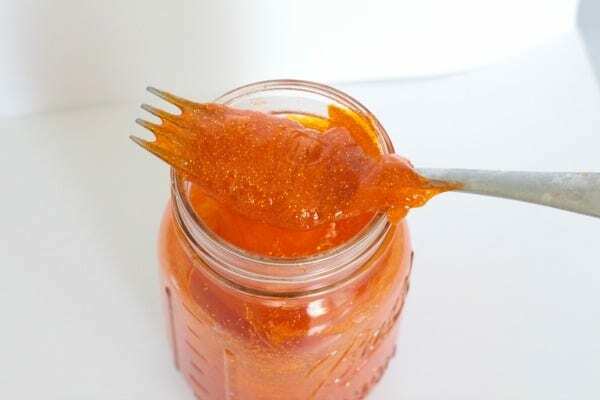 You don’t need anything special to make this slime work, but you should definitely read up a bit on our laundry starch slime recipe before attempting this one so it will turn out perfectly! 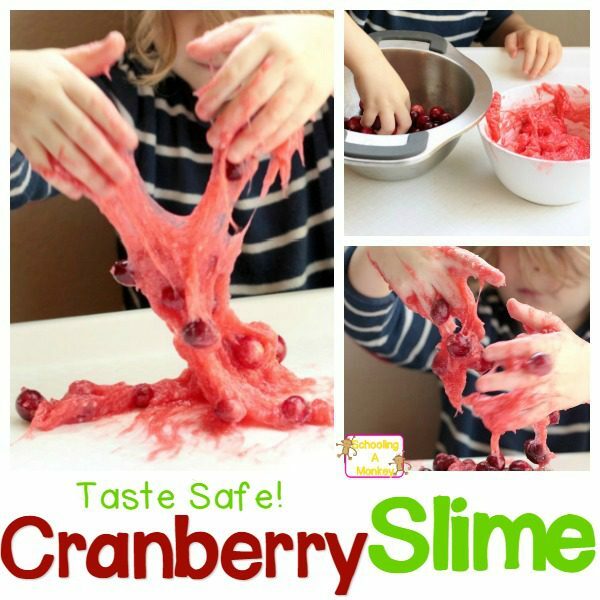 And if you love this slime recipe, you’ll love these other slime recipes. Find out how to bring the feel of fall into the classroom with this recipe. Slime is simply a collection of flexible polymer chains. Polymer chains are a long chain of molecules that have a repeating pattern of small units. Glue is a polymer on its own, but when the activator ingredient is added (in this case laundry starch) it makes the polymer thicker and stretchier. 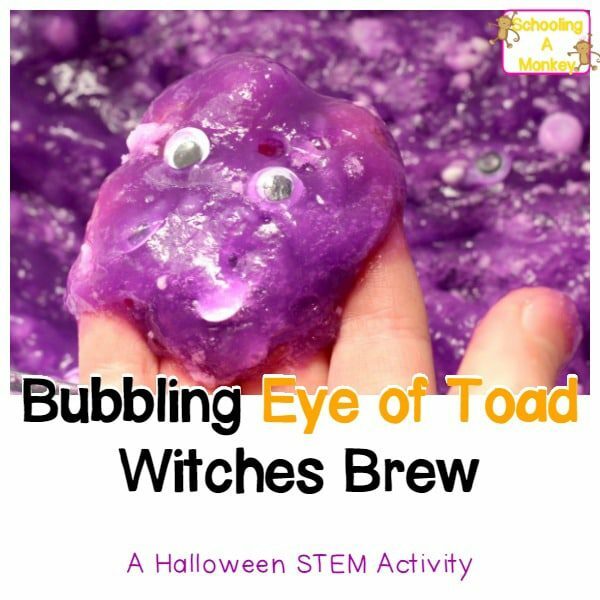 Slime making can be a wonderful introduction to chemistry, if children are allowed to experiment with things they think might make slime and are shown the chemical bonding patterns of the ingredients. If you’re teaching younger kids, just tell them that slime is formed when the molecules in glue and starch cross link, creating stronger bonds. 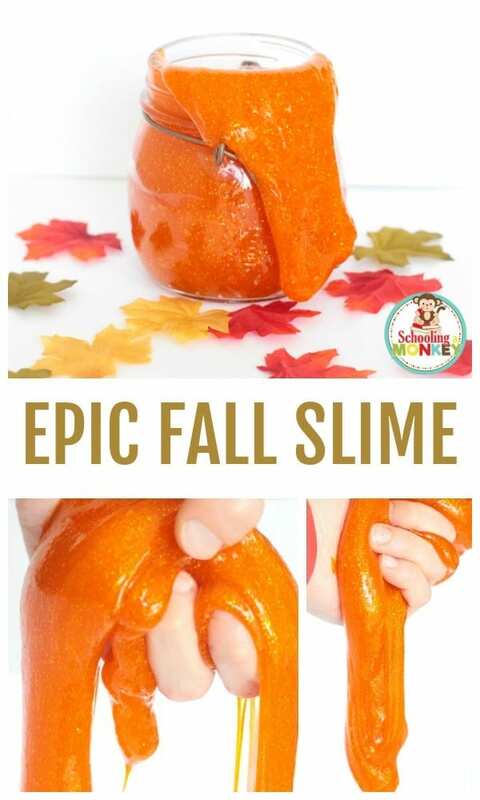 This slime recipe looks just like a pretty fall day, and is the perfect activity for fall STEM club or science class. 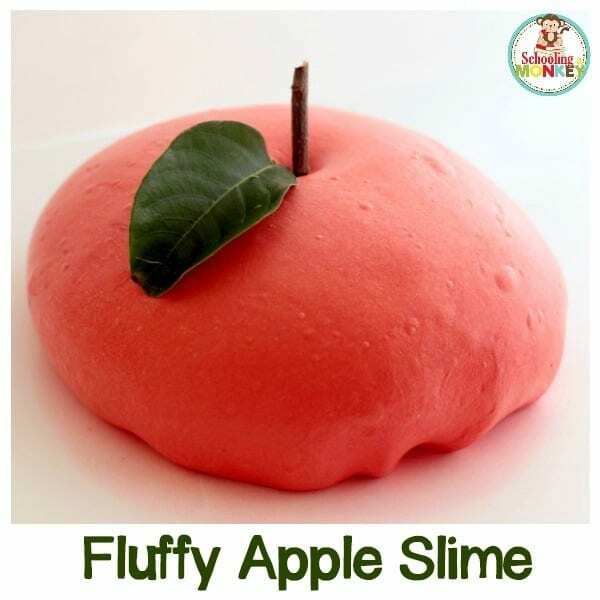 This slime uses our liquid laundry starch slime recipe. 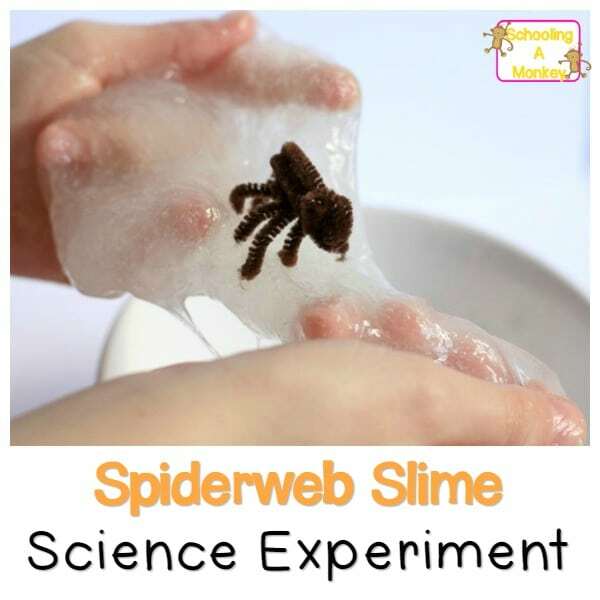 Follow the recipe in our liquid laundry starch slime recipe for exact ratios. 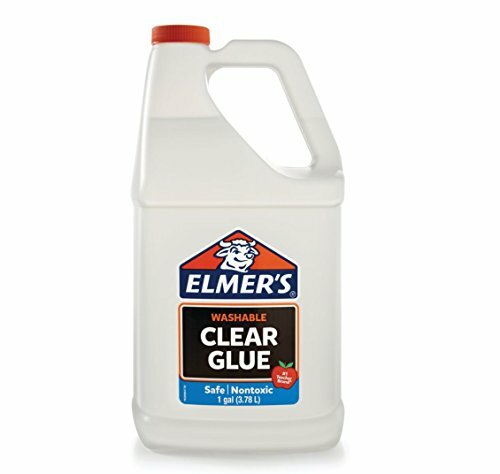 We usually use clear glue because it produces a more consistent slime than white glue. 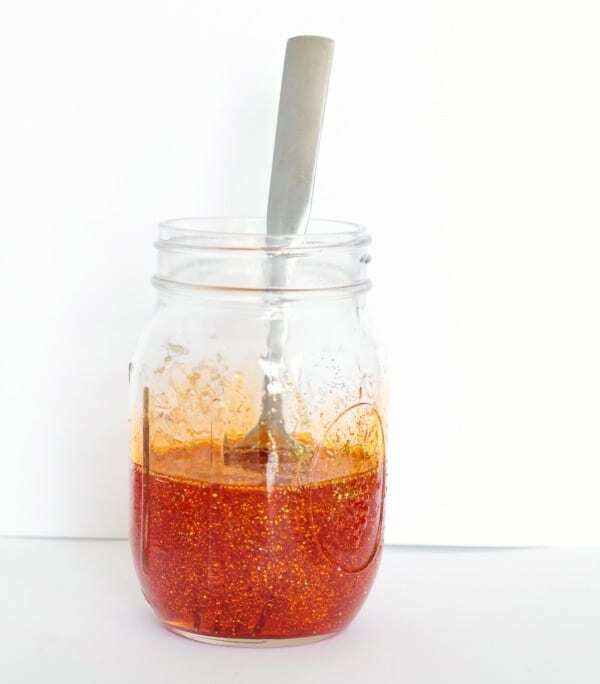 Add a squeeze of orange food coloring and a sprinkle of gold glitter to the slime before mixing. Add the starch and mix. 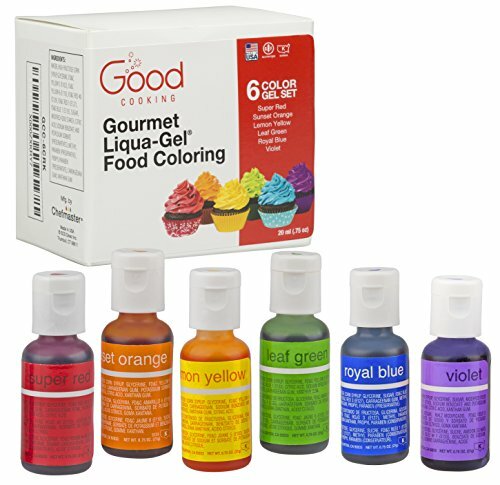 With clear glue, you don’t have to let the mixture set as long, but a few minutes is still helpful. Stretch and work the slime to make it stretchier. 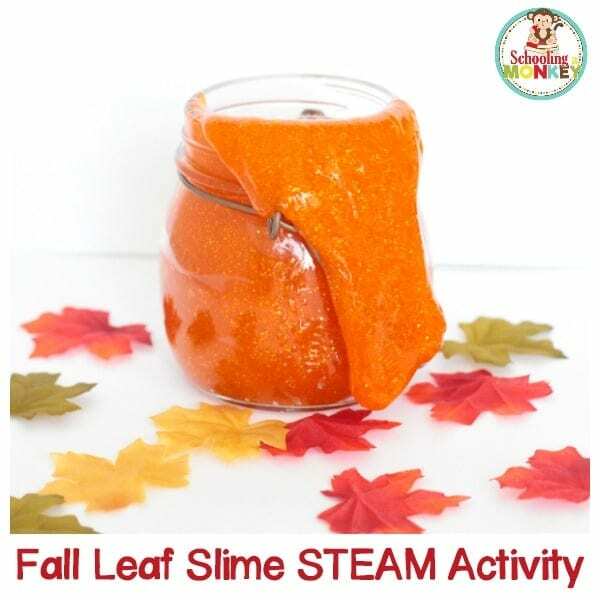 Let the kids play with the slime and use fabric leaves to add another level of fall color to your slime.